The control panel is presented in two versions. 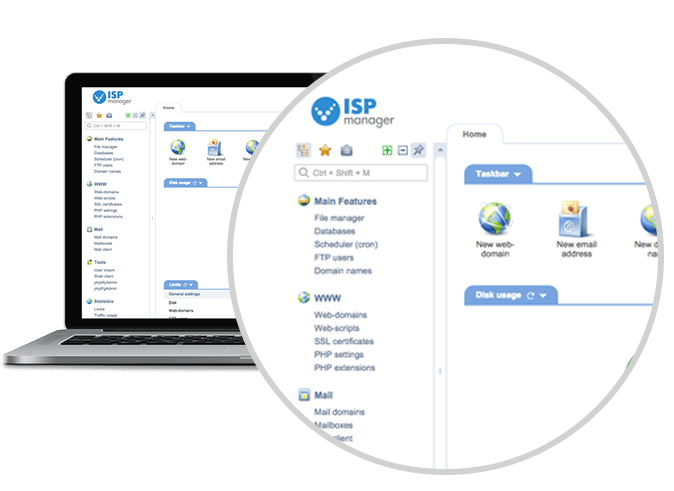 You can buy ISPmanager Lite for individuals and ISPmanager Business for hosting service providers. By choosing one of the versions, you can obtain the optimal solution of the affordable price and efficient features. You can easily widen the functionality of ISPmanager by adding more plugins. ISPmanager Lite provides reach feature set for managing websites, creating users, handling domains, emails, databases, etc. ISPmanager has same affordable price for both dediсated and virtual servers. It also supports an unlimited number of users and domains without any extra charge. The panel already has lots of various integrations such as Let's Encypt, website builder, anti-viruses, etc. You can also create plug-ins by yourself by using open and well documented API. ISPmanager Business is the ideal solution for providing shared or reseller hosting services. 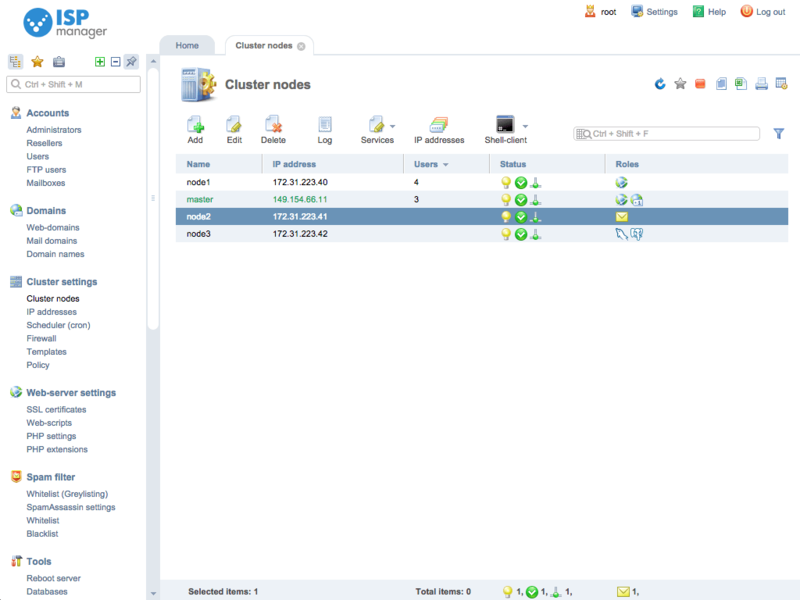 Single ISPmanager Business can be used for by providers for managing multiple servers (hosting cluster). The panel can manage data located on both local and remote servers (hosting cluster nodes). The panel also guarantees uninterrupted operation of provider systems and allows flexible configuration of user roles to give customers client-access for managing their hosting. 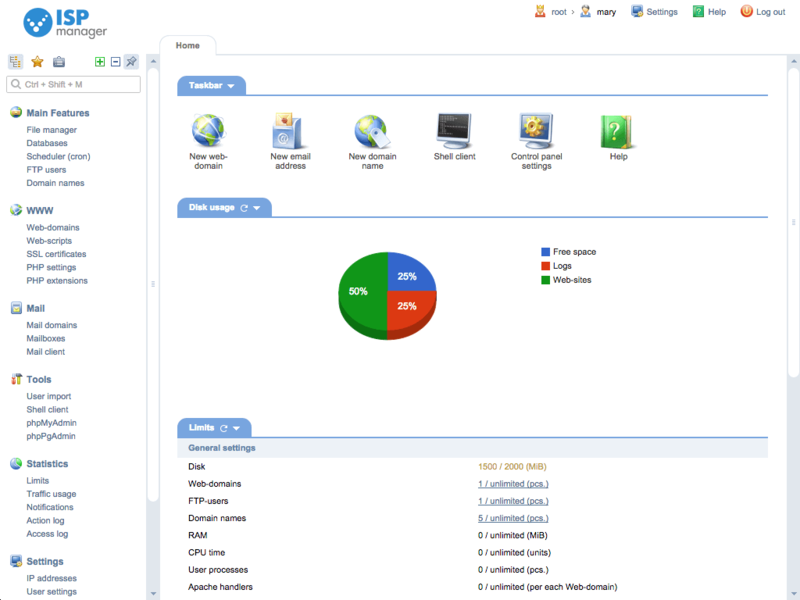 ISPmanager Lite lets you easily manage your personal server and maintain your websites. Set up and manage Linux web-servers including Apache, Nginx and PHP FPM. Monitor resource usage statistics. Manage mail domains and mailboxes. Configure redirects and aliases. Set up spam filters. Use DKIM & SpamAssassin. 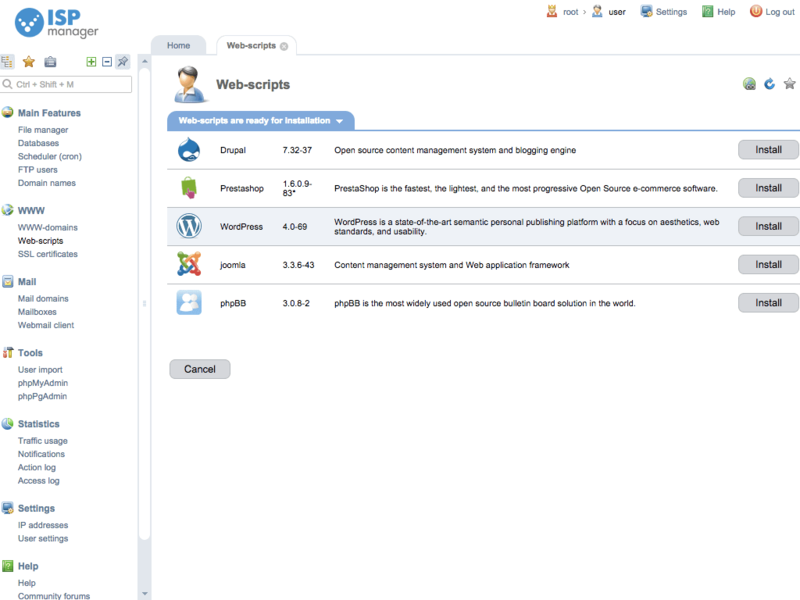 Install popular CMS such as Drupal, Wordpress, Joomla, etc. Create and manage website folders. Set up and manage web domains. Assing them to website and then install SSL certificates to secure private data. Manage files and FTP users. Set permissions on files & directories. Specify the user home directory. Set up automatic backups with ISPtar module. Schedule backups to external storages: Dropbox, Amazon, and others. Install Firewall to OS on which the control panel is installed. Set up SSL certificates to secure data transferring. Easily create and store databases. Manage user access limits. Set up various MySQL versions for websites. Create domain zones and edit domain records. 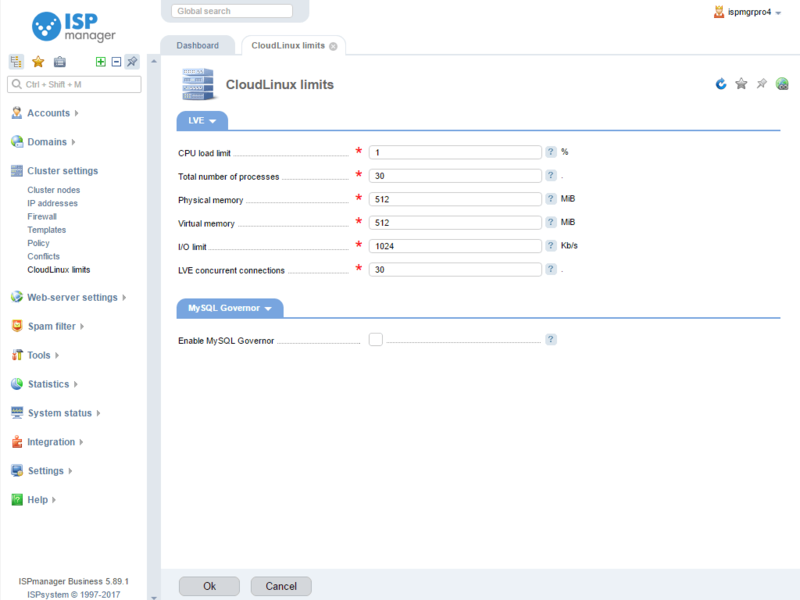 Configure and manage name servers via integration with DNSmanager. Create and manage accounts, set limits, and grant different permissions to change configuration of a server. With built-in PHP selector you can easily set various PHP versions including PHP 7 for different domains. Add your own corporate logo, set up unique colour palette of the control panel, and change website links.